Action RPG games are nothing new on the mobile platform. This genre has been exploited considerably by developers in their search to create the perfect specimen, with varying degrees of success. However, despite how common these games have become recently, we’re yet to find one that is perfect in every aspect. The combat, above all else, is a very important element in action RPGs. After all, as the name of the genre implies, the player will spend most of his time taking out monsters and completing stages by taking control of his character. Because of this, if the combat of a game is poorly executed, or simply cannot be enjoyed due to any reason, can it truly be called a good action game? Today, we’re going to talk about a game that we’ve had the pleasure of trying recently. It’s called Laplace M and, at first sight, it looks like another standard action game. Its plot is fairly basic: you’re a person walking around the woods, going about your own business, when all of a sudden, a strange meteor falls from the sky. In the aftermath of the disaster, it’s your job to run through the forest, helping everyone who’s in trouble, and dealing with the wildlife that’s been possessed by the meteor´s malignant energy. In terms of basic premise, the story is, at the least, acceptable, and helps to give meaning to our actions. However, we’ve yet to be impressed by the narrative. Nevertheless, we were absolutely smitten by another aspect of this game: the combat system. 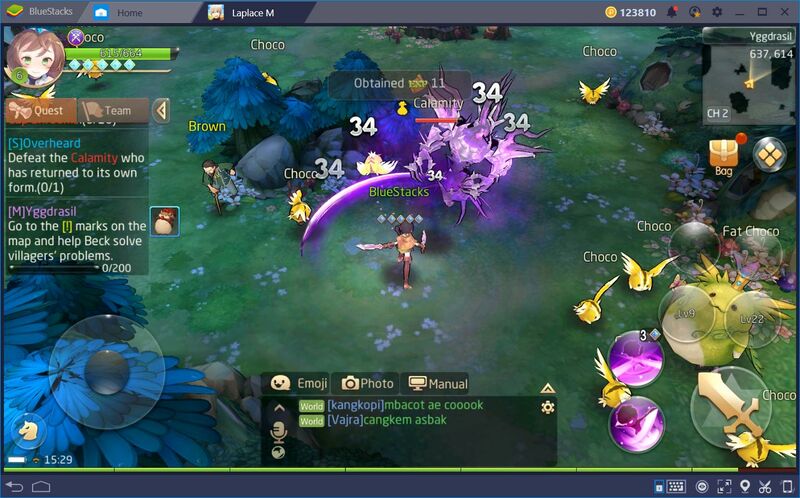 Laplace M has some of the most fluid and satisfactory combat systems of any action game for phones, especially when you play it on BlueStacks. Keep reading if you want to learn about how this title sets itself apart from the others, especially when it comes to the combat. Let’s begin with the very first thing you can appreciate from a game when you launch it for the first time: the graphics. Laplace M adopts a cozy art style, with warm colors, which are complemented with impeccable execution. The results are top-quality visuals, at par with what you’d expect from a PC or console game. Alongside the excellent graphics, we can also enjoy an outstanding performance. 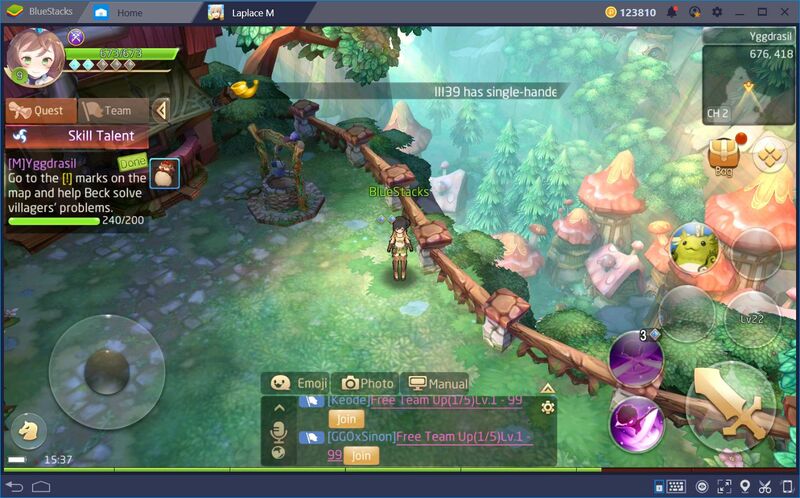 There are many games that, even with sub-par graphics—compared to Laplace M—, struggle to produce a fluid framerate, especially when you don’t play on BlueStacks. 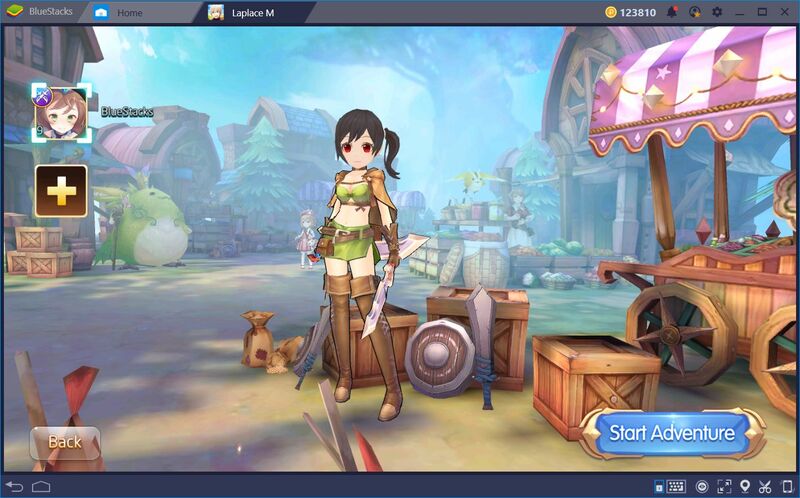 Our Android gaming platform allows you to enjoy both amazing graphics and unparalleled performance since it’s much more powerful than even the most expensive mobile devices on the market. Graphics aside, this game is set in a high-fantasy world, chock-full of colorful creatures and people of all shapes and sizes. In this sense, the developers have managed to create a breathing, living world, with plenty of lore and culture to discover. Those who enjoy running around and immersing themselves in fantasy worlds will appreciate this aspect of Laplace M. The tutorial level and starting town, in particular, set the tone for what you’ll find as you explore the vast world. If this game is this pretty from the very start, we’re dying to see what the other environments look like. 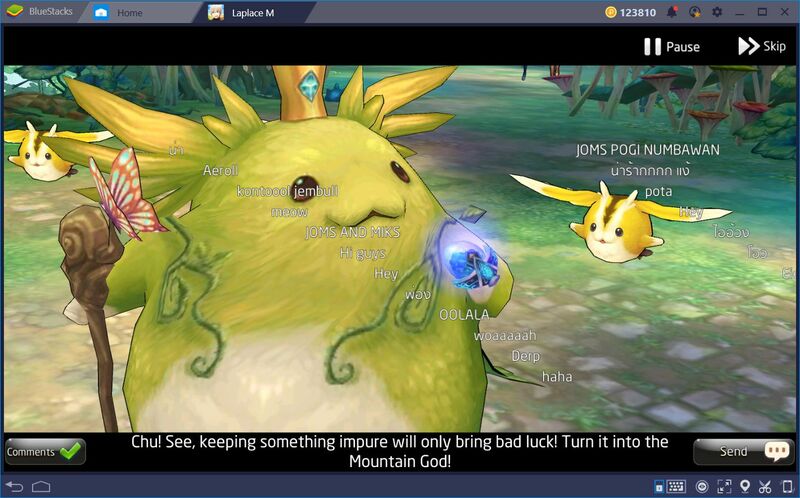 Here at BlueStacks, we’re always capable of appreciating a good story in a mobile game. However, there are seldom things that break our immersion more than when a game’s text is full of spelling, syntax, and grammar errors. Sadly, this is the case in many games that, due to budget or other constraints, are forced to rely on machine translations, which frequently yield subpar results. However, this is not the case when it comes to Laplace M.
The story is very well-written, free from errors in its text. In this sense, sitting down to read everything that the NPCs have to say and learning about the world by reading the lore is an absolute joy instead of a chore. The only problem with this is that, since it’s a recent release, the game has yet to be localized in many Western languages. For this reason, those who don’t speak English very well (if at all), will not be able to understand the story. 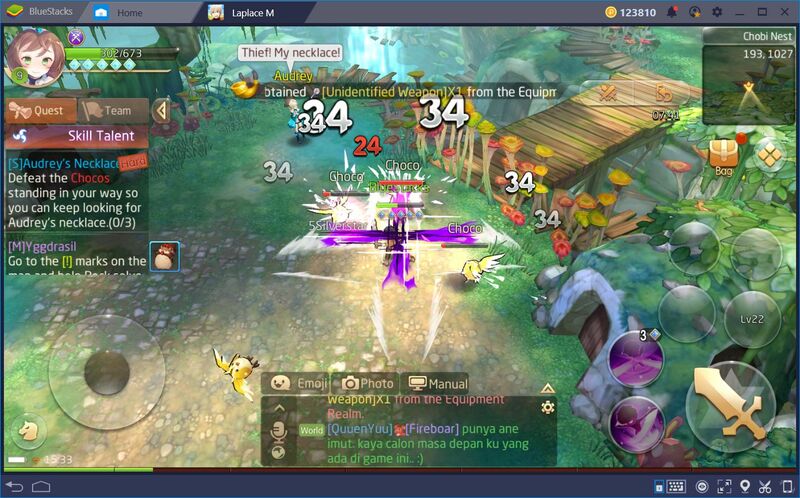 Luckily, with the BlueStacks translator feature, you can translate all the text onscreen in real time, by using a keyboard shortcut (Ctrl + Alt + L). With this tool, you can read and stay on top of the game’s story, regardless of your native language. The aspect for which this game sets itself apart from the others is, without a doubt, its combat. Even though Laplace brings nothing new to the table in terms of core mechanics, the implementation of the combat system is stellar. This game offers us real-time combat, not unlike that of Lineage 2 Revolution or Dragon Nest M, but much better executed. In contrast with other games, whose controls suffer from a bit of delay, or are not as precise as they could be, you can string combos together with grace and finesse, and take your skills to the next level in Laplace M.
If you’re starting in this game for the first time, we strongly suggest that you pick the Assassin class. This class is very agile and specializes in combo attacks to destroy their opponents. Furthermore, it has several movement skills that allow them to zip back and forth through the battlefield. With this profession, you can experience everything that Laplace M has to offer in terms of combat and movement, and even obtain excellent results as you learn to control your character. 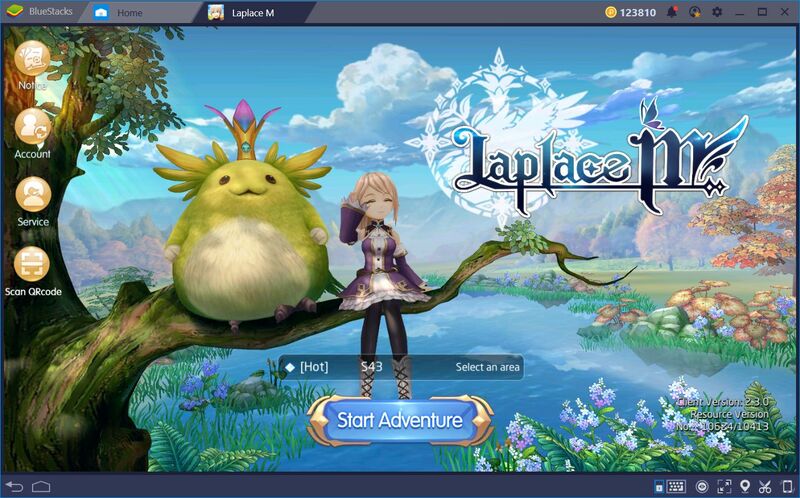 Lastly, to obtain the best experience when playing this game on BlueStacks, we recommend taking a look at our usage guide for Laplace M, where you will learn all those juicy tips for playing this game on our platform. Laplace M is one of the best action games for mobiles that we’ve had the pleasure of trying in recent times. We’re positive that, if you’re a fan of this genre, and also enjoy a decent story, presented with an excellent art style, you will love this game.